A "smart neighborhood" is where all of the houses are built with the latest innovation of technology in mind to create a comfortable, convenient, smart, and green home. 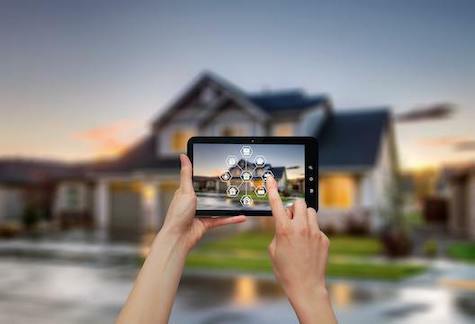 These new constructions have programmable thermostats, better insulation, security, and highly efficient appliances — all which can be accessed by your smartphone. In 2019, it is often tempting to believe homes with aluminum wiring are safe since the wiring hasn't been a problem for 30 to 40 years, but that is now a dangerous misconception. The more time these old connections have had to deteriorate, the worse the problem is. Electrical Spring cleaning the right way. Spring cleaning time is just about here! And while you're all set to clean the inside of your home to welcome in the new, warmer season, don’t forget to add “electrical safety” to your annual checklist. Chasing dust bunnies is a noble goal, scrubbing windows and dusting nooks and crannies will make the inside of your home feel as good as new, but protecting your family and home is one of the most important chores you’ll ever tackle. Why isn't solar power more common? The most reliable and pollution-free power in the world is the sun. However, as with anything, there are downfalls to using solar. 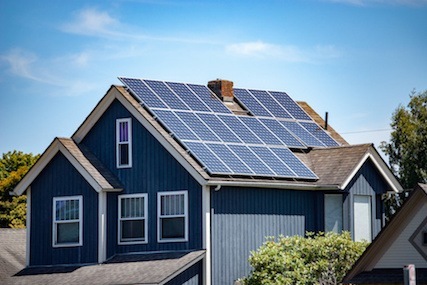 Having solar panels installed is costly and not only that, but it is inconsistent in availability. It is five to eleven times more costly to produce electricity from the sun than it is from coal, hydro or nuclear sources. The next thing is production only takes place when the sun is shining. So large storage systems would need to be developed to provide a constant and reliable source of electricity throughout the night. However, the upside is that the harvesting of the sun's rays is clean and safe. It produces no emissions, it's practical, and may in the years ahead prove to be very economical. 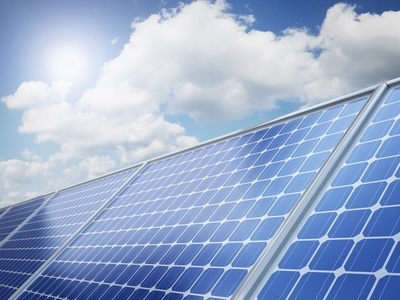 Besides, solar energy systems are reliable and can last for a very long time. Teach kids about electrical safety. With an ever-increasing number of electronic devices in homes today, it is more vital now than it has ever been to teach children the importance of safety when it comes to electricity. No matter how old the child is, the necessity for them to understand the life or death seriousness of the danger or electricity cannot be overstated. Is a ceiling fan installation a DIY project? 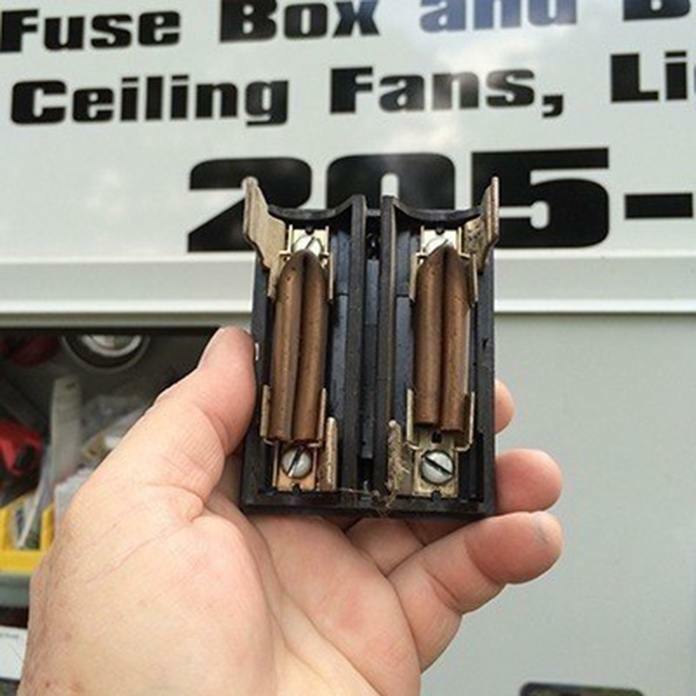 Although countless online "DIY guides" exist that make ceiling fan installation look simple, the reality is that there are many huge risks involved with working with electricity, and while some may get lucky and get it right the first time, it is far more common for amateur mishaps to occur than not. Just one improperly connected wire leads to an electric spark, which leads to a fire that can ignite in the ceiling and quickly overtake an entire home. Also, even if the fan is assembled correctly, just one mistake in securing the fan in place in the ceiling increases the risk of the fan falling while it's spinning. 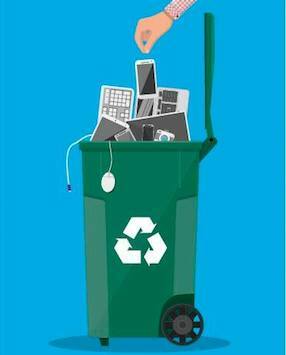 Don't just throw away old electronics in the trash. Once something is broken or no longer of any use, it usually ends up in the garbage. So when your old cellphone finally takes its last breath, should you toss it in the bin along with the leftovers? No! Sure it's easy enough to sneak in an old phone with your daily trash intake to the curb, but that decision could cost the environment more than you think. Any of electronic that winds up in a landfill will eventually end up leaking toxic substances shortly after being dumped. These are types of elemental toxins that don't go away and aren't easily cleaned up by a natural solvent like water. Chemicals such as lead, cadmium, arsenic, mercury and so on are inside of these old electronics (phones, computers, rechargeable batteries, etc.) and if somehow these electronics are burned – it can release halogenated dioxins and furans. If these toxic chemicals are released, it can cause severe environmental damage as well as internal damage to a person if they come into contact with it. While in the working electronics, these chemicals are safe and not a danger to the user, but once they're broken, and the contents are freed when there is danger. Do you know what to do near a downed power line? Downed power lines are hazardous, even deadly. 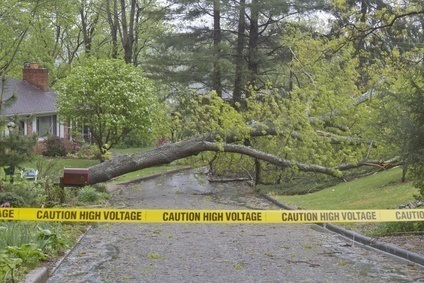 You should never touch a downed power line and always assume that the downed line is live. Here is why you should organize and label your electric panel. Knowing what's lurking behind the electric panel door is more than just staying organized. Labeling what's what in your electrical panel can help you better understand what does what to keep the lights on. Familiarizing yourself with these sorts of things will benefit in the long run, creating a basic knowledge and respect of that specific subject. Here you will find the top benefits and tips of labeling and organizing your electric panel. When Drano doesnâ€™t do the trick. Sure, we all want to reach for products like Drano after watching commercials on TV that claim they're effective. But, there's another dirty little secret these companies leave out: the damage to your plumbing pipes, and even to your lungs. Products like Drano and Liquid-Plumr are also terrible for the environment. So, what's the alternative for clearing your drain now that you know the truth? 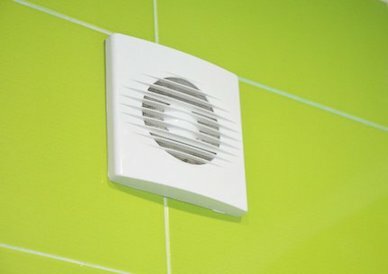 Do I really need an exhaust fan in my bathroom? Many older homes today still don't have exhaust fans in the bathroom. Do we need an exhaust fan? Can we get away with just opening a window when we need to let out some steam or clear the air? Make life easier with recessed outlets. We are always looking for new ways to make our lives easier while also implementing the most stylish options available. As technology improves so does the quality of our lives, and we should take advantage of that whenever possible. There is a simple concept on the rise gaining traction in homes and business across the globe: I'm talking about recessed outlets. For ages, since the advent of electricity, we have had to fight with furniture placement, tripping hazards and just downright eyesores with traditional electric outlets. Recessed outlets eliminate an array of problems we've had to deal with while also providing sleek designs to help improve the look of your home. They can be fitted with as many electric outlets as you need, as well as USB ports that are used for a multitude of technology. What is PEX piping and why should I care? When it comes to PEX Piping vs. Copper, unless you're a plumber or an electrician, you may not even know the difference or which piping is better for your home. So, maybe it's time to expand your basic knowledge of plumbing and electricity to know what you're getting and if it's something you actually want. Once you've got the basics down, you'll know what to request from your plumber or electrician and why. Let's start with what PEX Piping is. PEX Piping is cross-linked polyethylene pipe. What this means is that after the material goes through various processes, it becomes durable enough to handle extreme hot or cold temperatures and what's called "creep deformation" (that occurs from extended exposure to stress). It also counters chemical attacks from alkalines, acids, and other toxins. These factors all make PEX piping an excellent piping solution for cold and hot water plumbing systems. PEX tubing is also very flexible and adapts effortlessly to temperatures from below freezing all the way up to 200 degrees Fahrenheit. PEX Piping is also better for your budget. It's a convenient material for your plumber or electrician to install and with its crack resistance and fewer joints, it brings your plumbing and electrical costs down. Pex has fewer fittings than copper, less chance of leaks, and can be used along with metal or PVC Piping, and can have a pressure balancing system. Now Copper: On the beneficial side, Copper combats corrosion and is not affected by ultraviolet rays, which means it can be useful for outside plumbing needs. This factor differs from PEX pipes, which can be affected by ultraviolet rays and therefore should usually not be used outside. On the downside, however, copper will corrode from the pH of the water if the water becomes too acidic or too basic for the copper pipes. Copper piping can freeze and break during winter weather, it has become more expensive and har der to install, raising your plumbing costs and with corrosion, the higher levels of copper seeping into your water will give your water a metallic taste. It's our hope that these comparisons have given you a better basic understanding and knowledge of the differences between PEX and copper piping, giving you the opportunity to make the best decision for yourself. Contact the experts and John's Electric for all of your pip repair and other plumbing needs. Will it be a snowy Alabama Winter? Anytime the power goes out, it's inconvenient, but losing power in the winter is particularly dangerous and requires an emergency plan in in the event of a loss of power. First, if it does turn out to be a snowy Alabama winter, and your power goes out, don't panic. Often, the issue is a simple fuse - so you'll want to check your fuse box first. If a fuse is the cause of your outage, it's quick and easy to repair. Can your electric panel handle all of your Christmas lights? Avoid circuit overload by knowing how powerful your lights are. Most lighting circuits (which typically include outlets) are 15-amp. The basic rule of thumb is to avoid going over 80% of what a circuit can safely handle (no more than 12 amps on a 15-amp circuit). To find out how powerful your lights are, check the packaging that you bought them in. If you no longer have the package, check the tag on the light cord. If the wattage is listed, divide that number by 120. This will give you your amperage. For example, if your light string is 250 watts, your amperage draw is 2.08 amps (250 watts divided by 120 = 2.08). Safely, you could get by with six of these on a single circuit - or go down to five for an even safer bet. Remember, though, that this is only the total for the Christmas lights. If you have other things running on the same circuit, there is less power available for your lights. Identify which outlets are using which circuits by turning off one breaker at a time then checking each outlet. Any outlet without power is on the circuit you turned off. 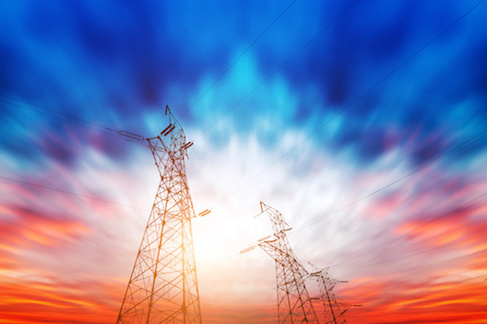 Could our electric grid survive an EMP attack? There has been no shortage of controversy in politics today. One of the most prominent subjects is that of the situation between the U.S. and North Korea. High tensions have prompted talk from North Korea in regards to an EMP attack on the U.S. What exactly is an EMP? 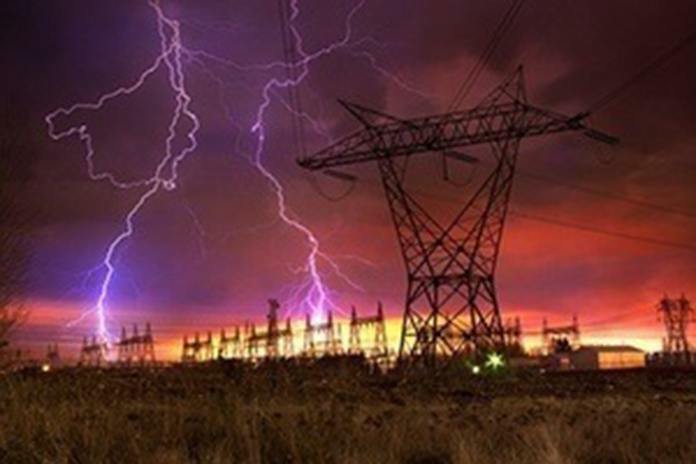 How disastrous would a potential EMP attack be? Would our power grid survive such an impact? Our current state of affairs prompts these types of questions so that we can be better prepared in case of a potential disaster. Fire Safety Tips for Fire Prevention Month. 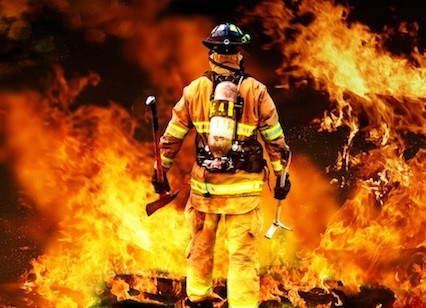 According to the United States Fire Administration, fires kill more than 4,000 people in America each year and injure approximately 20,000 more. Nearly 2 million fires are responded to by US fire departments, with three-quarters of them occurring in homes. Awesome video of a bad lug on a 200 amp electrical panel. The lights in the home were going on and off and here might be the problems. Look at it glow! Amazing new technology powers wearable devices with our own sweat. A team of engineers from the University of California, San Diego has developed remarkable stretchable power cells that take energy from your own sweat and power electronics, like LEDs and even Bluetooth radios! For a field that has been struggling to come up with devices that are powerful enough and stretchable enough, these epidermal biofuel cells are a major breakthrough. The breakthrough was achieved thanks to a combination of extremely clever chemistry, highly advanced materials and electronic interfaces. This combination let them build a highly stretchable, electronic foundation using lithography and screen-printing to manufacture 3D carbon nanotube-based cathode and anode arrays. The biofuel cells are equipped with an enzyme that oxidizes the lactic acid present in human sweat to generate current. This turns the sweat into a source of power. Because the concentration of lactic acid in a person's sweat gets diluted over time, the team is exploring a way to store the energy produced while the concentration of lactate is high enough and then release it gradually.So future work is needed before this technology can be considered a full success. At least once in a lifetime, we have all experienced being in the middle of a nice, hot shower only to feel the water go from steamy to icy in what feels like seconds. Imagine what it would be like to never run out of hot water during a shower, well with a tankless water heater it is very much a reality! Besides the benefit of never-ending hot water, a tankless water heater does have its other pros and cons. 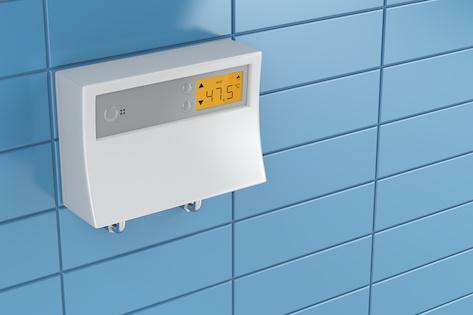 So how can someone tell if a tankless water heater is right for them? 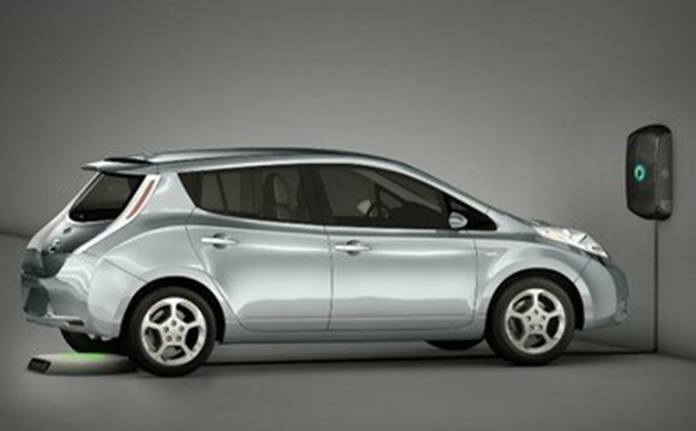 Electric Cars VS Hybrid Cars -- Which is Better in Alabama? Before we cover the benefits and drawbacks of EVs and plug-ins, it's important to understand the difference between the two vehicle types. 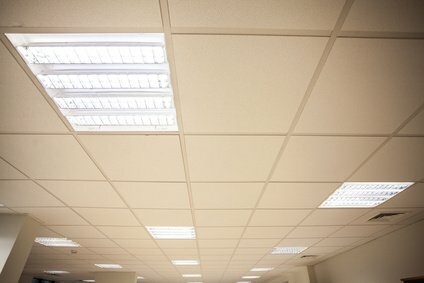 Are your office lighting hurting your health? If you haven't made the switch from traditional fluorescent lighting to LED lights in your office yet, you may want to consider it now to improve your health and the health of your employees. LED lights to give off a whiter light than traditional compact fluorescent bulbs- resulting in less strain on your eyes when trying to read or focus. This is such a great benefit to reduce the strain your eyes already undergo during a day of staring at a computer monitor, spreadsheets or measurements. LED provides you with a clearer view of what you are looking at. Compact Fluorescent bulbs cast objects in a yellow glow, and light that is focused in one direction. Does my main water line need replacing? While commonly taken for granted, the fresh water coming into your home or business is crucial to your daily life. The main water line that carries the fresh water is typically very durable and built to last. However, several factors cause breakage in the line. Commonly, these factors include corrosion, tree roots, or just the type of plumbing pipe used when the home or commercial building was built. Discolored Water - a brown tint or rusty color in your water could very well be an indication that there are issues in your water line. The discoloration is caused by corrosion, the type of pipes you have, or even soil and dirt entering the pipes through the cracks. Soggy spots on your lawn - if there are damp or soggy spots on your lawn and it hasn't rained recently, there could be a crack in your main water line that is forcing water into your grass from beneath the surface of your lawn. If the situation has reached this point, it's likely your water main is in serious trouble and should be addressed immediately. Decreased water pressure - if you notice a significant drop in the water pressure in your home, it's likely that your main water line is leaking and you're losing water. 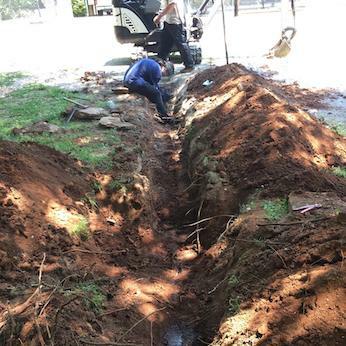 While there are many possible other reasons for decreased water pressure, a main water line issue should be investigated first and ruled out or repaired. 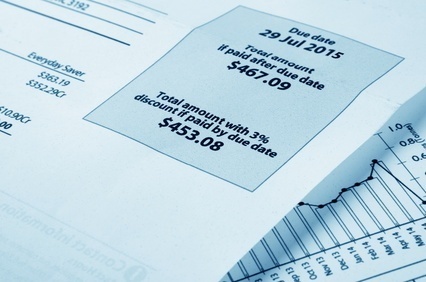 Spike in your water bill - a few issues exist that can explain a sudden and significant increase in your water bill including a problem with your main water line. There could be a hidden leak in your home that you're unaware of, letting water seep or even pour out. Electrical circuitry and panels tend to get ignored throughout the year and only get addressed when you experience a short circuit or electrical trips. As a homeowner, you may not know everything involved in the electrical circuitry of your home but there are still some questions you should ask your electrical inspector and Spring is the perfect time to do it! No matter the size of the job, from changing out old electrical paneling to major renovations to your home or property, you should always ask your electrical inspector whether or not your home’s electrical fittings are up to date and in compliance with current regulations and building codes. Secondly, be sure your electrical inspector pays attention to the safety of your electrical panel and makes sure that they are properly insulated to avoid electrical shock. Panels must also never be placed near damp or wet areas. Understanding your electrical consumption is also important. Washing machines, televisions and air conditioners consume significant amounts of electricity, and it is your responsibility as the homeowner to be sure they are connected to the right circuitry to avoid electrical shorts or fluctuations in voltage. Lastly, once the inspection is completed and any necessary repairs made, have your inspector run a double check to be sure all of your electrical circuitry is working properly. Ask your inspector to provide you with a complete report of all inspections and repairs done. 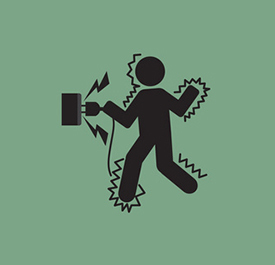 Any of these issues can cause significant injury or death by electrocution or fire. If that consistent breaker tripping occurs in your home, try turning the breaker off and then on again. If it stays on, the issue may be resolved. If not, and the breaker still trips, try to determine which part of the electrical system is causing the problem. Your safety is of utmost importance. 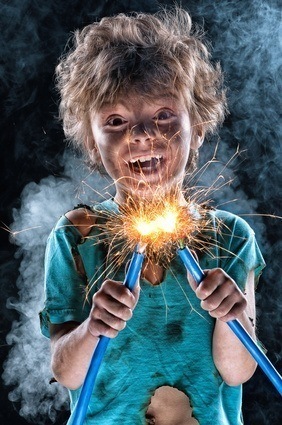 With any electrical issue, calling your electrician (and hey we know a awesome one...you can find that awesome electrician here) first can keep you out of serious danger. Some lights are actually bad for your health. Have you ever wondered what environmental aspects of your office could be changed to improve your and your employee's mood and productivity? Well, the answer might be just over your head! As American office workers, we spend at least one-third of each weekday in the office - and while it is everyone's goal to have a successful and productive workday, often something as simple as lighting impedes our ability to do so. A study conducted by the American Society of Interior Design disclosed that 68 percent of employees complain about the lighting situation in their offices. This substantial number implies that many employers could be making the same mistakes. Don't make this electrical mistake! There are many older homes in Birmingham and the surrounding areas. Unfortunately many of these charming houses still have very old fuse boxes that are ticking time bombs ready to go off. These photos are from a recent call to a rental home where a fire broke out and caused quite a bit of damage. The endless possibilities of LED Lighting. 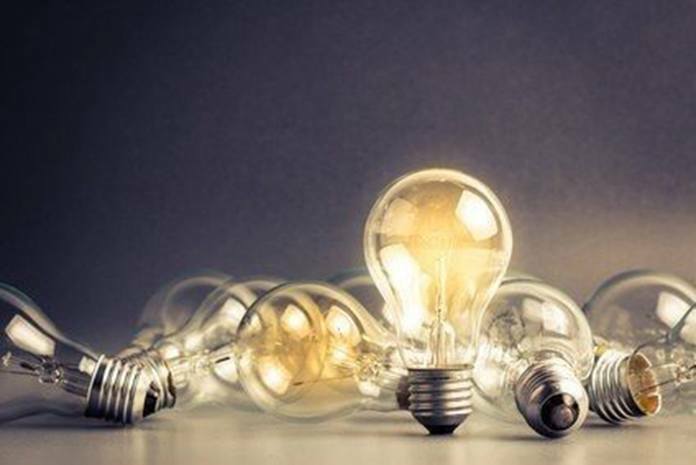 For many years, homeowners looking to expand their interior design creativity into the lighting and ambiance aspect of their homes were limited to only the options that standard light bulbs and CFL bulbs provide. Then, LED lights came on the scene and opened up a world of possibilities. From completely changing the overall look and feel of the room to highlighting only specific nooks or corners, LED lighting offers homeowners options for any room of your home. 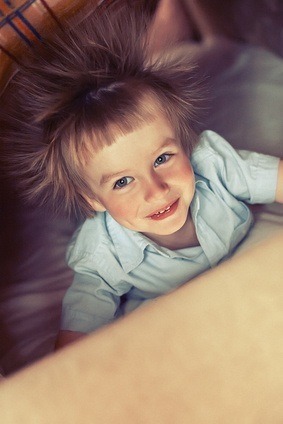 Five ways to keep static electricity at bay during colder weather. Static electricity is the result of unequal positive and negative charges between two objects. While static electricity seems relentless and unavoidable, especially during dry winter months, keeping it at bay is easier than you might think. You can take steps to reduce the initial static electricity, control how it transfers to you, and reduce the electric shocks that occur each time you touch something. Brighten the Stars over Birmingham with Dark Sky Lighting. Living in Birmingham, all our lives the night has been artificially lit by street lamps and blazing bright lights from every parking lot. Of course, it helps us see after the Sun goes down, but there are many cons that outweigh the pros when it comes to lighting and the night. As people go about their lives they have forgotten to look up, mostly because for them; there is nothing to see. For thousands upon thousands of years all around the world, humankind has enjoyed the bright glow from over 400 billion other suns every night without fail. It's only within the last 100 or so years that we've suddenly lost sight of those incredible stellar objects because of light pollution. For the entire history of man we have used the light of the stars to calculate when to plant crops, for navigation, even to figure out our place in the Universe. Today's technology does everything for us, which of course is a good thing, but in turn, we have lost something very precious; our night sky. Recently we were called to a job to fix the work of a not so handy “handyman” here in Birmingham. The owners had paid him to install a new light in a drop down ceiling. Something must not have been going right for him, and the wires were getting in the way, so he rigged it in WITHOUT putting the aluminum and copper connections in the proper fire protection junction box. This could have led to a terrible disaster for the homeowners. In the end, the ‘handyman” never answered calls from the homeowners, leaving them on the hook for his shotty work and having to essentially pay for the job twice, once from his mess up and one for our electrical repair. Why are the lights blinking in my house? LED or Fluorescent Light Flickering: Individual types of lighting technology are, by nature, more prone to flickering than other types. 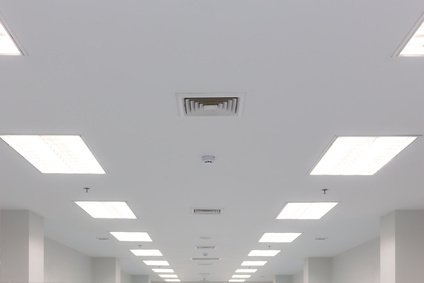 The flickering of fluorescent lighting within the first couple minutes or so of switching them on is due to the phosphors reaching peak illumination, or because the ballast they are connected to is failing. Neither of these issues imply a serious electrical problem, but can quickly become annoying, and you may want to replace these lights to solve the issue. What could be causing my dryer to run, but not get hot or dry clothes? Autumn Electrical Safety Check List. Autumn has arrived and with it has come the time to consider what you don't see every day, behind the walls: your home's electrical system. Sure, your appliances may seem to be running in excellent condition, your outlets may not show any sign of trouble, but after long hot months of running your A/C, pool pump, ceiling fans, and electronics. Autumn is the perfect time to have everything looked over carefully, checked and tweaked for optimum performance. Lighting for a Better Sleep. Melatonin is a hormone in our bodies that is responsible for sleepiness. The release of melatonin sets our “internal clock” to encourage sleep, and it can be suppressed or encouraged by light colors and light intensity. Light sources with higher color temperatures reduce sleep quality compared to those with lower color temperatures, according to studies performed by the University of Connecticut. Light sources with higher intensity of artificial light can have an adverse effect on our sleep cycle. Not surprisingly, manufacturers have begun to notice this and have started to create products with these factors in mind. Philips produces a line of “Wake Up Lights” that is a more natural alternative to alarm clocks. These lights use gradually increasing light intensity and color temperature to gently waking you up from sleep. The app f.lux reduces the “blue light” color temperature on your computer screen or smartphone to encourage less obtrusive bedtime reading (Blue lights in electronics have a stimulating effect on our bodies). Alabama & Auburn Football - Time To Upgrade Your Home Theater. This year’s Iron Bowl - as it has over the last seven seasons - is once again expected to have a major impact on college football’s national championship. Before we even get to November, though, is your home theater ready to view every detail of every game? The Tide and the Tigers face off is undoubtedly the biggest game in the South this year. Here are some quick and easy upgrades you can make to your home theater so you can clearly hear and see the roar of the crowd and watch the sweat dripping off both Coach Steele and Coach Pruitt’s brow - all from the comfort of your recliner. Upgrade your TV - In football and in life, one of the best motto’s is “Go Big or Go Home.” In the living room, you should be watching the game with 46 inches - minimum. Avoid “ghosting” and bluriness by choosing a TV model with a high refresh rate (120HZ or above). Once you’ve unpacked your new TV, browse over to the CNET Searchable Guide to optimize your viewing settings. Here are some photos from a recent electrical troubleshooting job in Hoover at a commercial shopping center. After visiting the location it was determined that a service upgrade was necessary. We upgraded the electrical service to a 200 amp service. There was a bad code violation here originally, a wire rated for 125 amps fed into a 200amp box. This melted the conduit so we had to pull the old wire out one at a time and replace it with all new wire. How To Read Your Alabama Power Meter. Learning to read your power meter can mean the difference between blindly paying what the electric company says you owe and knowing where to find their mistakes. The task may seem daunting at first, but with a few basic steps, it will begin to just come naturally. So first, it’s important to understand how the electric company measures your power usage. 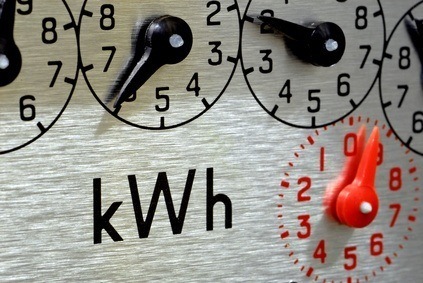 The measurement used to determine how much power is transmitted is called a kilowatt hour (kWh for short). If the energy is being transmitted or used at a constant rate (power) over a period of time, the total energy in kilowatt-hours is the product of the power in kilowatts and the time in hours. Homeownerâ€™s Electrical Responsibilities You Should Never Ignore. Whether the issue is large or small, problems with electricity are often ignored until they become obvious. It’s easy to avoid thinking about problems that can occur in our appliances, circuit breakers, wall outlets and even light bulbs. But often, ignoring issues while they are small leads to larger problems and the necessity for the help of an electrician. Plan Your Electrical Work For Your New Home Construction. When you’re building a new home, your imagination can run wild! What kind of kitchen counters, the prettiest beige carpet, or the light fixtures are all huge decisions. What we don't think about however, are the fun things to do with the electrical outlets! This is the perfect time to add and move things to your liking- most people buy a home and suffer with too few outlets, or badly located ones. 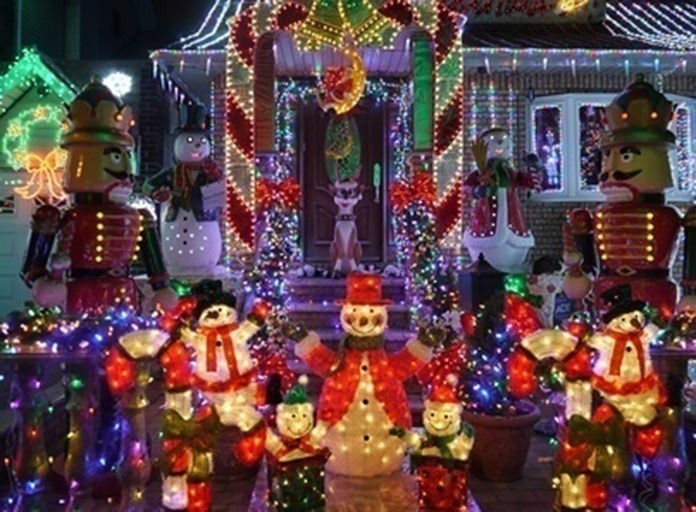 Consider: Does your family go all out for Christmas or holiday decorations? 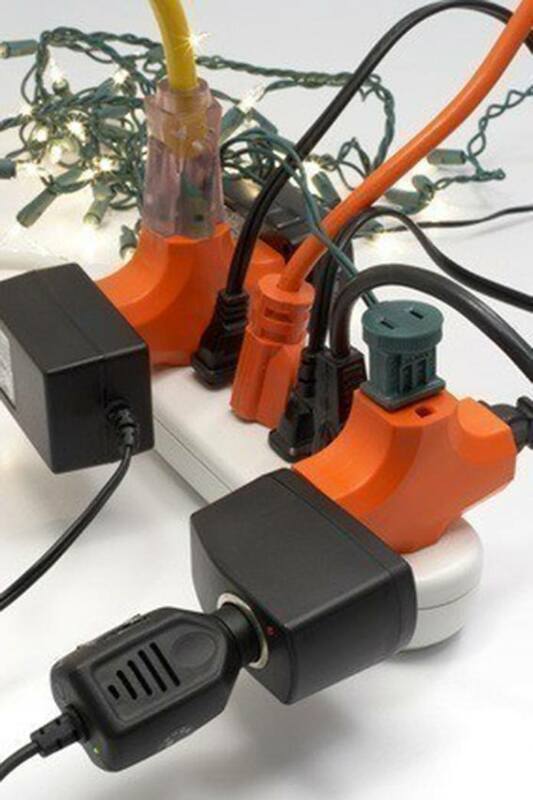 Maybe adding a few well placed extra outlets will save you some headaches this season. Does your son play video games on the TV? Having that extra 3rd and 4th outlet can make the difference between unplugging the DVD player every time, and easily hook their system up. It is also the perfect time to plan a killer sound system! This Simple Device Could Save Your Child's Life. 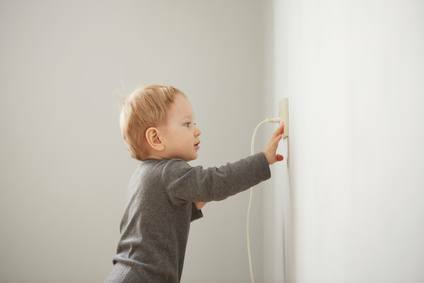 When it comes to the safety and well being of our children, the need for electrical safety is of utmost concern. 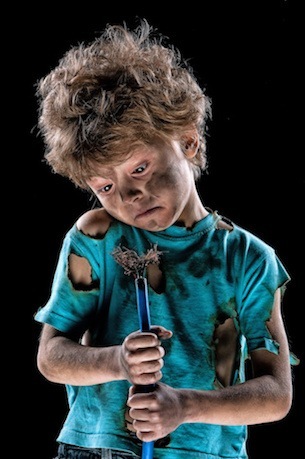 According to the ESFI: Each year, approximately 2,400 children suffer severe shock and burns when they stick items into the slots of electrical receptacles - that is nearly seven children a day. It is estimated that there are six to 12 fatalities a year related to this. Nearly one-third of these injuries are the result of small children placing ordinary household objects, such as keys, pins, or paperclips into the outlets with disastrous consequences. Selling Your Home? Watch Out For DIY Wiring! As a homeowner, you have every right to carry out any work that needs to be done in your home, including electrical wiring and there are many cases when DIY electrical wiring may seem like a tempting option. 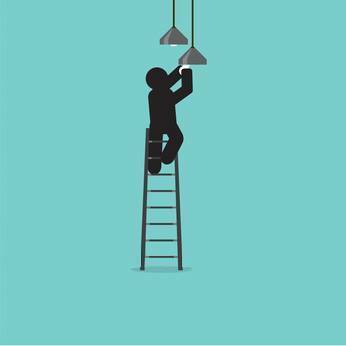 Installing a light switch, replacing an outlet cover, or installing a ceiling fan for instance, may seem like minor work that wouldn’t warrant a call to a professional electrician. However, when it comes time to sell your home, as the homeowner, you will be asked to show permits for any electrical work performed on your home. You will not be able to obtain the appropriate permits following DIY installation of electrical wiring later in the game. 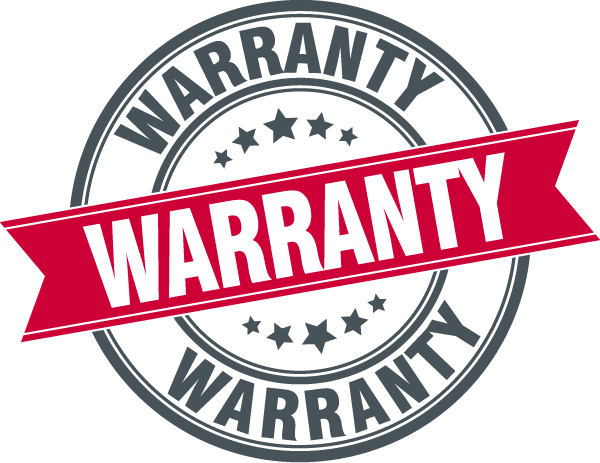 Further, should someone be injured or you incur property damage, your insurance will not be valid without the appropriate certification to prove the system is safe. How to Hack Your Electric Bill. In 2008, according to the Energy Information Agency, the national average for residential monthly electric bills was $95.66. Today? The national average has increased to $163 and continues to rise. With large investor-owned utility corporations handing out new rounds of rate hikes, the situation isn’t going to get any better. So, how do you combat the issue or learn to manage the amount you see on your bill each month? Through a few simple electric bill hacks! Hack One: batch and shut off your electronics. In one year’s time through the methodical practice of unplugging devices when they’re not in use or while you’re away (like your printer, surge protector, computer screen, TV and DVD player) - you save $78.73 per year! Hiring an Unlicensed Electrician: Whatâ€™s the Risk? While the thought of hiring an unlicensed electrician in order to save money may seem like a tempting solution, in reality the risks you’re taking could cost you much more than the few bucks more you’ll pay with hiring a licensed professional electrician to perform your electrical work. Every year in the United states, $100.000.000.000 is lost by property owners who hire unlicensed or “underground” business to perform electrical work. In addition, unlicensed electricians are responsible for 55,000 electrical fires, 1.4 billion dollars in property damage and at least 500 deaths, annually. 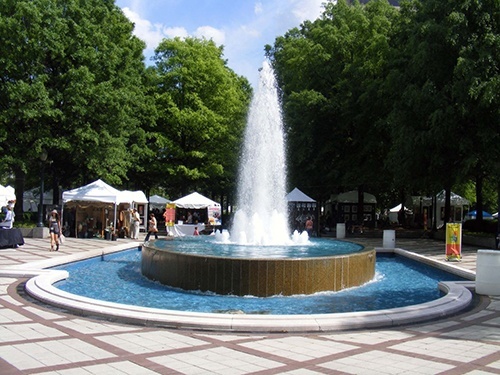 Now that we are enjoying warm weather in Alabama and Summer is right around the corner, people will be spending their time outdoors more. 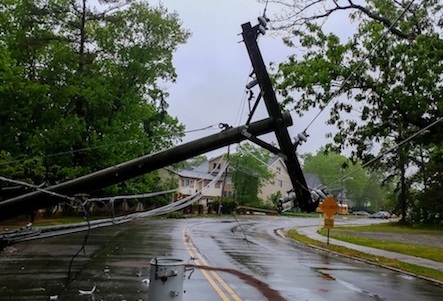 With Summer comes severe thunderstorms, so we came up with a few safety tips to consider when you or a loved one encounter power lines. 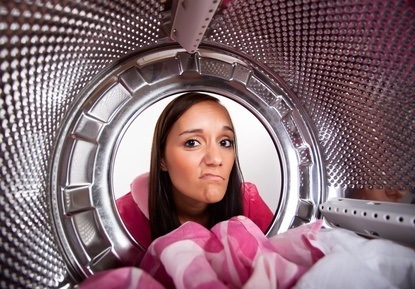 Home Appliances that are the Biggest Energy Hogs. 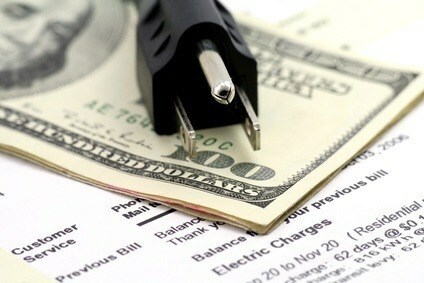 While the thought of turning off or unplugging all of the appliances and electronic devices in your home while not in use seems like an impractical one, recent analysis performed by the environmental website fuelfix (fuelfix.com) shows that as homeowners, consumers can save at least $100 a year by simply making it a habit to turn off or unplug as many items as possible when not in use. 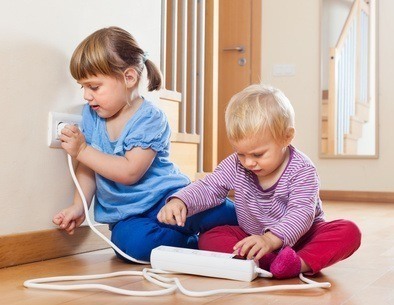 Protect Your Kids With Tamper Resistant Outlets. When it comes to the safety and well being of our kids, the need for electrical precautions is of utmost concern. Cordless Electrical Car Charging: The Future is Here! Also known as wireless charging or inductive charging, cordless car charging uses an electromagnetic field to transfer energy between the charging station and the electric car. Several manufacturers of electric cars have implemented the technology, including Toyota and Volvo. The charging of the battery of a plug-in hybrid car or a car ran purely by electricity will occur by the car simply parking on top of the charger. This method will cause a transmission of electricity using magnetic resonance occurring from a reaction in magnetic field intensity between a coil placed on the ground underneath the car and a receiving coil built into the bottom of the vehicle. The Safe Way to Handle Broken CFL Bulbs. Broken CFL bulbs often cause immediate panic from exposure to the mercury contained in them and the possible adverse health effects. 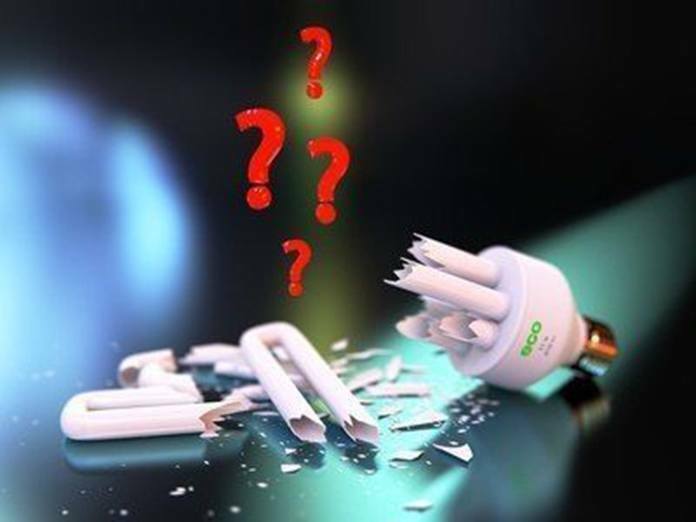 So how dangerous really is a broken CFL bulb? 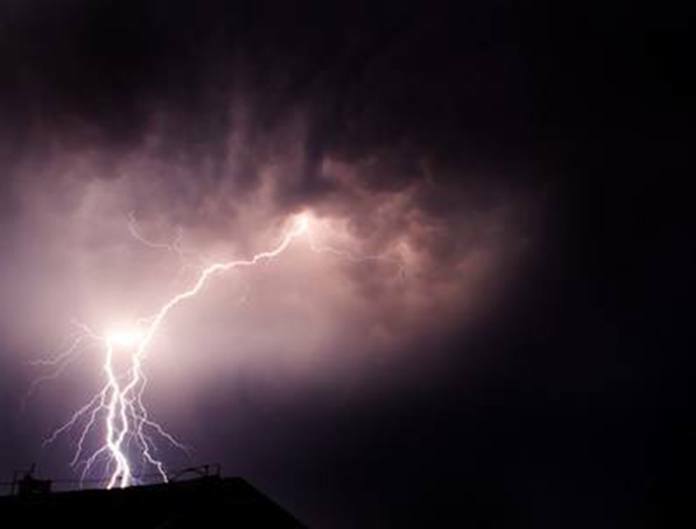 Storm Season is Coming: Protect your Home with Whole Home Surge Protection. With the end of the cold, brisk fall and winter days drawing near, it’s time to prepare for Spring and the inevitable storm season that comes along with it. After a long Winter of overloading your home’s electrical system with large appliances like your oven, furnace, HVAC, and holiday lights, with the upcoming storm season, your home is more at risk than ever for dangerous electrical surges that can damage pricey electronics and even put you in harm’s way. Like a bouncer at a nightclub, a whole home surge protector keeps unruly electrical arcs and over voltages from reaching the inside of your home while letting in only the exact amount of electricity your home needs. 10 space heater safety rules everyone should know. Space heaters - we’ve all heard the horror stories of using them. You shouldn’t be afraid though! Because the weather seems to change at the drop of a hat in Alabama many homeowners prefer to buy space heaters than to turn the heat on. When used properly, these can be a great tool in keeping your home nice and toasty, and saving you money on your heating bills. 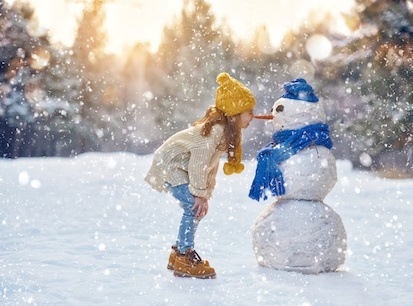 Here we have 10 tips to keep you safe this winter! At John’s Electric, we know that using a space heater can be a great tool for warmth and savings. When used properly, space heaters are not as dangerous as you may think! For more tips or for electrical help, contact the experts at John’s Electric. 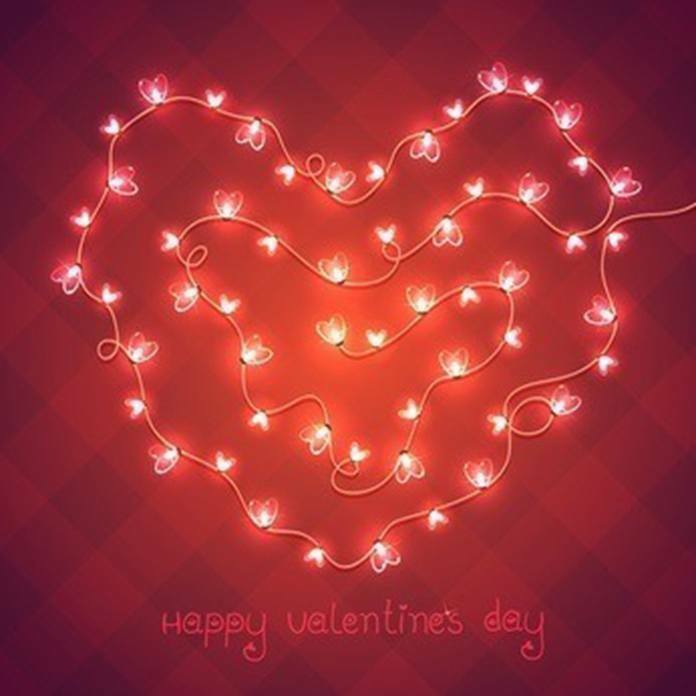 Awesome lighting ideas to brighten your Valentineâ€™s Day! For that special someone in our lives, Valentine’s Day often goes beyond just a simple card. It’s the day to celebrate the love between the two of you and no matter how much time has been invested into that love, you might be surprised to learn that a lot of our significant others are expecting more than just a last minute thought. Creative Electrical Ideas for New Home Construction. 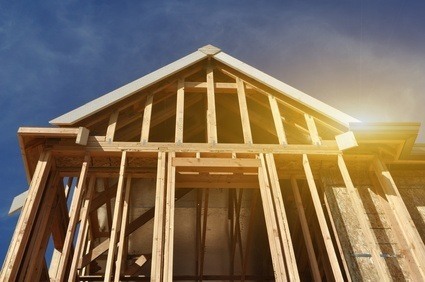 When it comes to the excitement and anticipation of building your new home, countless ideas may be running through your mind. The perfect placement of each window, wall, and door. Paint colors and textures, the perfect flooring choices, exterior and interior materials, and those specific details that make your newly built home one of a kind and truly yours. With those common ideas going into your blueprints with the most ideal options for layouts and measurements being discussed with your contractor, what about including some creative electrical options as well? 1. 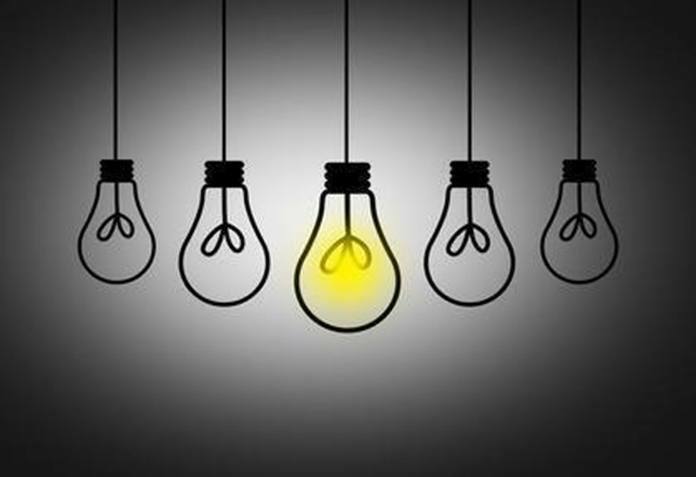 Only 10% of the energy in an average (conventional) light bulb is used to create light. The other 90% of the energy created by a light bulb produces heat. CFLs (Compact Fluorescent Light Bulbs) by contrast, use nearly 80% less electricity than average (conventional) bulbs and can last up to 12 times longer! Most all drivers of plug-in hybrid electric vehicles (PHEVs) and Electric Vehicles (EVs) are in the habit of charging their electric vehicles at home overnight using either AC Level 1 or AC Level 2 EV charging equipment. Most often, residential charging equipment is installed in a home’s garage, but there are also safe methods of safely installing chargers outdoors even if the vehicle is being exposed to or charged in the rain or other outdoor elements. In order to utilize outdoor charging equipment, outdoor-rated charging equipment is required. 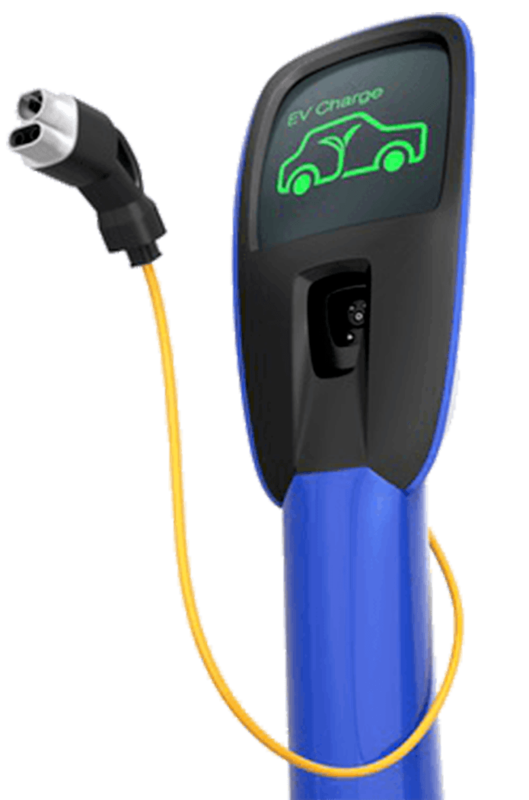 Additionally, if the charging is taking place at multi-family dwellings (like apartment complexes), additional considerations for safety must be made and the chargers will be more similar to public chargers than chargers used in a single family dwelling. Easy Tricks to Lower Your Refrigerator's Energy Consumption . There is something in every home that no one can live without. This amazing piece of technology is a blessing for the modern world, without it who knows where we would be. It keeps our food fresh and cold and helps us keep our families fed. 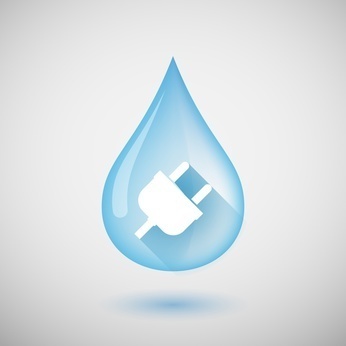 We can't live without it yet it is one of the biggest drain on our electric bills. Can You Live Without Power and Technology For A Few Days? Alabama seems to be notorious for extreme weather and unprecedented storms these days. In recent years we have seen many of our beloved towns nearly destroyed by strong thunderstorms, flooding and tornadoes. Many are still recovering from storms that hit caused damage and flooding from the last two months. We can never be too prepared when bad weather hits, especially if it knocks out power for a few days. 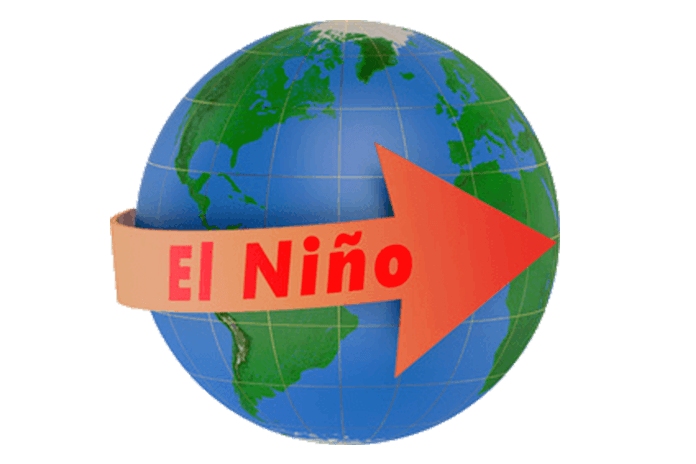 This year is an El Nino year which brings in warmer temperatures and weird weather. NASA warns it could get worse in the coming months. Winter is an especially vulnerable time because many could be stranded without heat when the power goes out. These Quick Tips Will Help You Avoid Getting Burned By The Holidays! Inspect electrical wiring - When holiday lights, decorations and ornaments have been in storage for a year, anything could have happened to cause them to deteriorate or become damaged. Closely inspect all of the electrical wiring to your lights and electrical decorations to be sure there are no cuts, nicks or chew marks from rodents and if there are - throw them away. What if your power goes out during the winter? Any time the power goes out is an inconvenient time, but losing power in the winter can be particularly dangerous and you should always have an emergency plan in case you are faced with a loss of power in these upcoming winter months. If your power goes out don’t panic. Often, it is just a simple fix like a fuse - so you’ll want to check your fuse box first and if a fuse is the cause of your outage, it’s quick and easy to repair. Deck Your Halls With These Important Electrical Safety Tips. The Holidays are in full swing and no doubt you are decorating your home to make the season bright. With all the things there are to do this time of year, sometimes it is easy to overlook a few electrical safety details. Electrical fires and injuries increase during the holiday season and are responsible for more ER visits across the county. 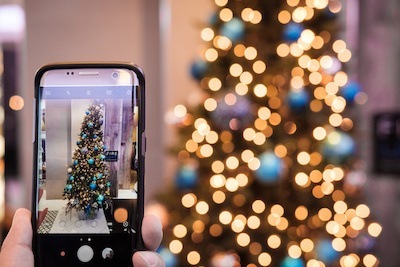 This Technology Lets You Control Your Christmas Lights Right From The Comfort of Your Own Phone. Who doesn’t love the holiday season? Time to throw some logs on the fire, curl up with a cup of hot cocoa, put on some classic Christmas music, and drag those boxes of decorations and lights in and out of the attic or garage! But the holidays aren’t all cute carols and peppermint lattes. This time of year usually means shoveling out the big bucks, sometimes adding a second job, replacing those cracked decorations, burnt out lights, and of course the presents! So, why not find at least one area to save some money, by putting those bright shiny Christmas lights (brand new or dragged in from the garage) on automatic timers? 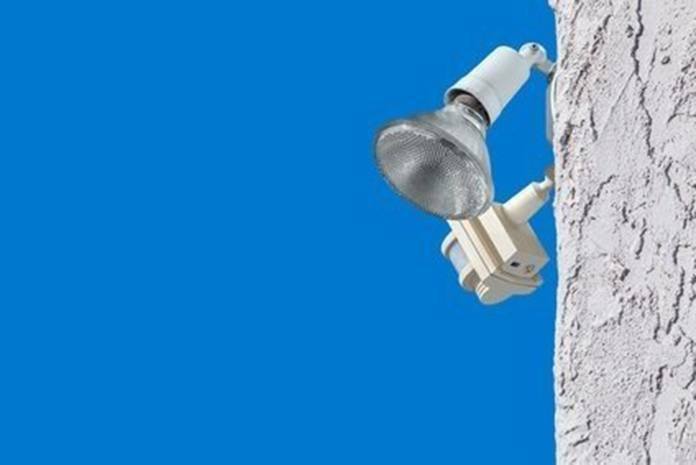 Make Sure You are Getting your Security Lighting Right. If your home or commercial space is in a location that causes you constant concern in terms of security, one solution to deter vandalism, burglary or trespassing is to install proper security lighting around your home or office. Security lighting is not much different than the lights we use inside our homes, but what makes them so effective is the fact that these lights are stronger and more powerful against factors of weather or tampering. Every quality security system involves properly powered lighting strategically placed. 1. A master electrician trains for nearly as long as a doctor. Experience is absolutely vital when it comes to electricity. Working with electricity, there is no room for error, Individuals who have earned the title of Master Electrician have gone through a combination of classroom training and hands on experience for at least 8 years. Like doctors, Master Electricians must be prepared to correctly diagnose and then treat electrical issues. 2. Electricians have to be in good physical shape. Everyone knows electricity is dangerous and because electrical wiring is placed safely in walls, underground and behind washers, dryers and refrigerators, very few of the locations are easy to reach. Electricians need to be able to withstand extreme hot and cold temperatures and perform their duties in uncomfortable positions with very few opportunities to sit or stand comfortably. Because electrical work can’t be left unfinished due to the danger it poses, electricians must usually work days, nights and weekends to ensure that a project is completed safely. Microwave vs. Stove - which one is more energy efficient? Your microwave is a much more efficient way to heat or reheat than your stove top, mainly because your stovetop wastes quite a fair amount of heat. 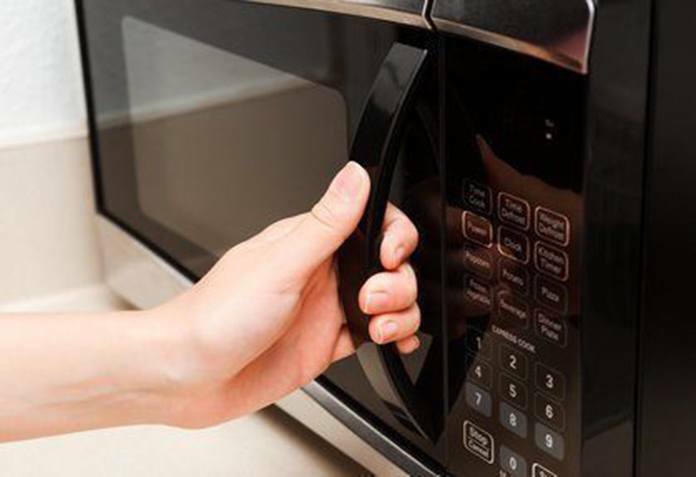 Your microwave uses about 80 percent less energy than your stove for heating up relatively small amounts of food. Even though your microwave uses a lot of electricity, it’s a small burst of power vs. the long, delayed energy used to heat up your stove. Of course, you can save some of the energy you’re using on your stove by using pots that are size appropriate to the burner. The EPA warns that using a six inch pot on an eight inch burner can waste the majority of the burner’s heat. Is Your Breaker a Double Tapped Breaker? Is your electrical panel safe? How do you know? You can’t see behind the metal cover. A very common and extremely dangerous issue is what is called a double tapped breaker. We've all been there stumbling across the room, stepping on the cat, fiddling around for the light switch, and lighting up the whole house just to go to the bathroom. If only someone could make it easier! Luckily for you John's Electric has some great ideas to light up your bathroom without waking up your whole house. 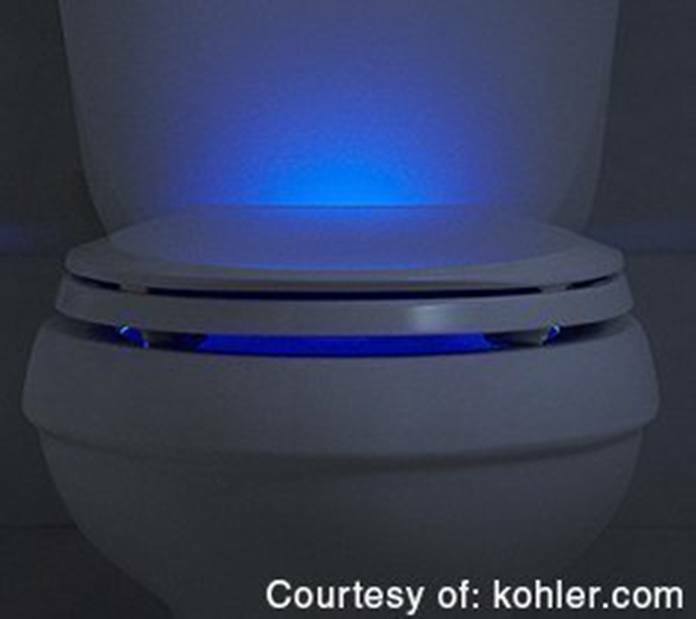 Commode with colored lighting- A hinge toilet seat with a soft light is a great alternative to bright overhead lights. The lights are concealed in the hinge illuminating exactly where you need to see in the toilet without waking up anybody with harsh blaring. This is perfect for kids or adults with their inevitable late-night bathroom trips, and is easy on the eyes. Why You Should Never Hire Unlicensed or Uninsured Electrical Contractors. 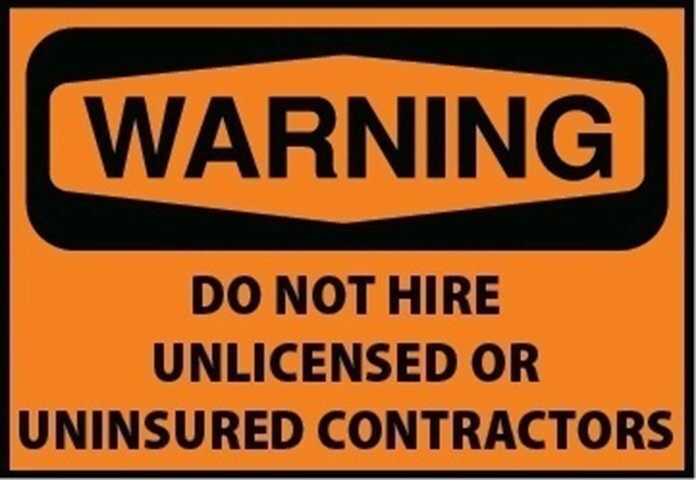 You wouldn’t hire an unlicensed doctor and trust him with your health, and you wouldn’t hire an unlicensed tax preparer and trust her with your money - so why risk hiring an unlicensed or uninsured electrician and trust them with the safety of your home and family? When you need to hire an electrical contractor for a project in your home, you might ask yourself if it really does matter whether or not your contractor is licensed, and you may be receiving what appears to be an economical offer to complete your electrical project from a contractor not playing by the rules. But, beware, the risk you are taking in hiring the unlicensed electrician could end up hurting you financially and putting your safety at risk in the long run. According to the US Fire Administration, fires kill more than 4,000 people in America each year and injure approximately 20,000 more. Nearly 2 million fires are responded to by US fire departments, with three quarters of them occurring in homes. 1. 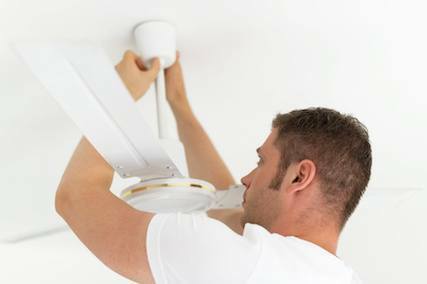 Smoke Detectors / Alarms - Widely available and inexpensive, smoke detectors / alarms need to be installed in all of the rooms of your home and tested monthly to be sure they are working properly. 2. Avoid Electrical Fire Hazards - Never overload circuits or extension cords. Never place wires or cords underneath rugs or in high walking traffic areas. Check the fit of plugs in wall outlets to avoid loose electrical connections. Poor connections can cause a fire in minutes from overheating. 3. Home Fire Sprinklers - when used in combination with properly functioning smoke detectors / alarms, fire safety sprinklers greatly increase the chances of surviving a fire. They are inexpensive and can lower your home insurance rates and even increase your property value. 4. Always have an Escape Route - create the quickest and safest route should fire occur in any room of your home and practice it with your family regularly. Teach everyone to stay low to the floor and check with the back of your hand for hot doors to avoid backdraft. 5. 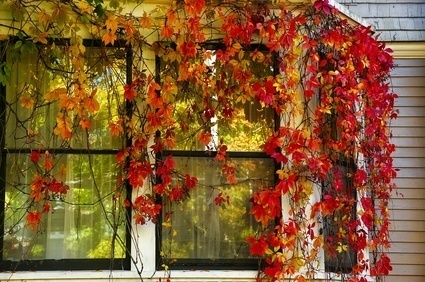 Choose the position of your Appliances Carefully - Keep your TV and other appliances away from windows with curtains. In case of a wiring problem or loose connection, a fire that reaches the curtains can quickly spread. Rain or moisture that reaches the appliances from the window can cause wiring malfunctions as well. 6. Contact us today for a complete fire safety plan for your home and be safe this October. We are Helping You Go Green. These days going green seems to be on everyone's mind. 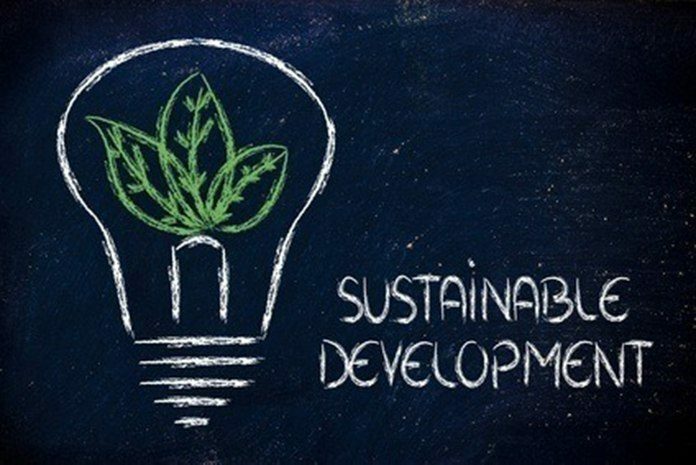 We are always looking for more ways to go green, save energy, and save money. It's great if you are recycling, reusing, and not wasting energy, but there's always ways to help more. The team at John's electric is always looking for ways to do just a little bit more: to save just a little bit more energy and just a little bit more money for our customers. With every job we are finding new ways to lessen our impact on the environment, while also lessening the impact on your wallet. Unless you live under a rock, you know that college football season has started and here in Alabama, that means the fun has just begun. Alabamians love their football, so much so that it has become it's own culture and way of life. Our passion for Alabama and Auburn football sets the tone for the entire season and turns lazy Saturday afternoons into a time of excitement, cheers and fellowship. Of course, no matter which team we root for, we always try to keep our sportsmanship in check, right? The one thing that is the absolute center of attention on game day is our TV, and we are always looking for ways to improve our over all viewing experience. Nothing is better than finally sitting back, cracking open a cold one and enjoying the game with family and friends. 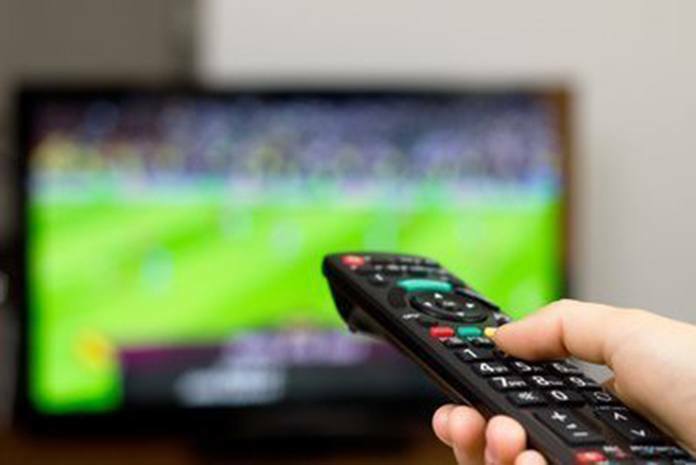 Whether it is updating your TV, installing sound system or creating an entire home theater, there are endless improvement to be made to enhance the whole game watching experience. 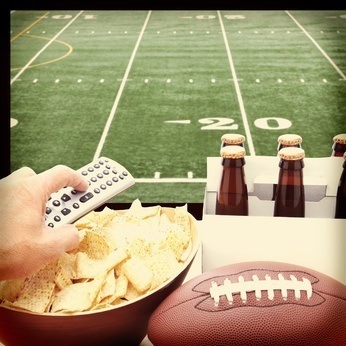 With today's technology, the sky is the limit when it comes to experiencing the action of a live football game. None of us like spending money if we don't have to and with John's Electric, we're helping out! Take a look at this image of an electric box. 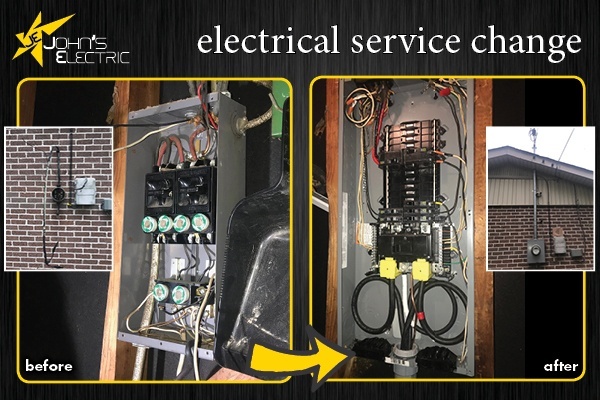 This box could have used a complete swap out to get it in working order and for what the household needed, but a simple meter clip change of this old meter main combo box, we were able to save the homeowner over $2500 by not having to get the whole change out. Sound like something you could use? 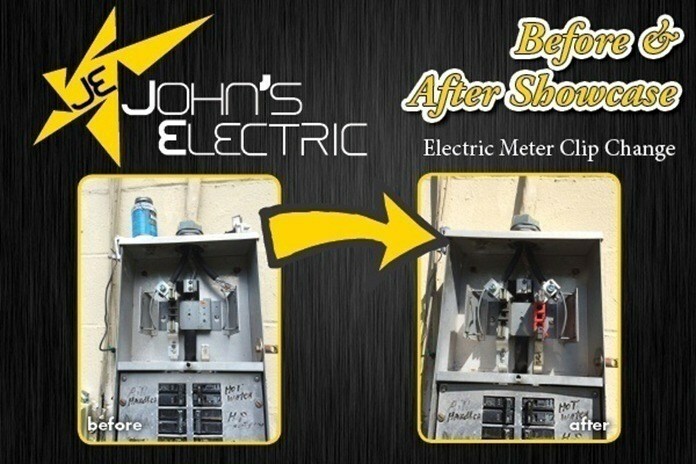 Contact John's Electric today! No matter where you live, during periods of heavy rain and intense thunderstorms, there are important things to remember with regard to your safety and the safety of your loved ones. It is vital to remember that floods from rain can occur anywhere with gradually rising flood waters or flash flooding that occurs without warning. Water is a mighty powerful force that can quickly overtake people, vehicles and even homes. Many places in the world still have limited access to electricity. This proves problematic when it comes to education because they don't have access to computers and the internet. It is estimated up to 80% of children in Kenya cannot read or or write due to the lack of proper schools in their area. Recently the country did get a big boost to education that will change the lives of young people throughout the region. 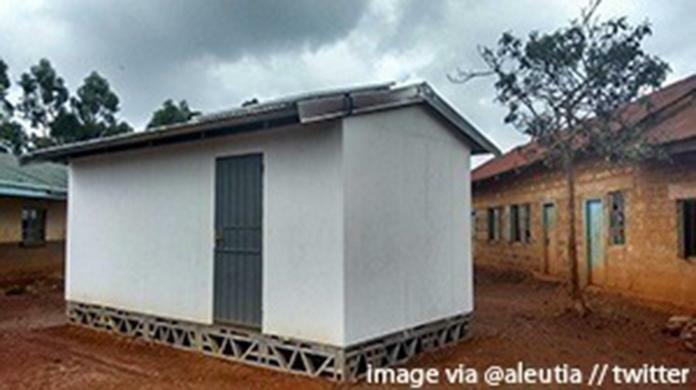 A company in the U.K, called Aleutia, has come up with answer to help the education problems in Africa. They created completely off the power grid, self sustained modular classrooms. It's called "The Solar Classroom in a Box". Each classroom is full of today's latest technology and is completely powered by solar rooftop panels. Thanks to this revolutionary concept, children in every county in Kenya will be able to go to a school and learn with modern equipment. With summer time coming to an end and fall weather approaching, the weather is going to be perfect for spending time outside with friends and family. Backyard cookouts, outdoor family games and good conversation late into the night make for great memories. To enhance your backyard enjoyment and get the most out of family evenings outdoors, it’s likely some electricity will be included. With added comfort and convenience, electricity ran outdoors can add perfect mood music and lighting, provide a way to charge phones and laptops or even setting up outdoor movie projectors. 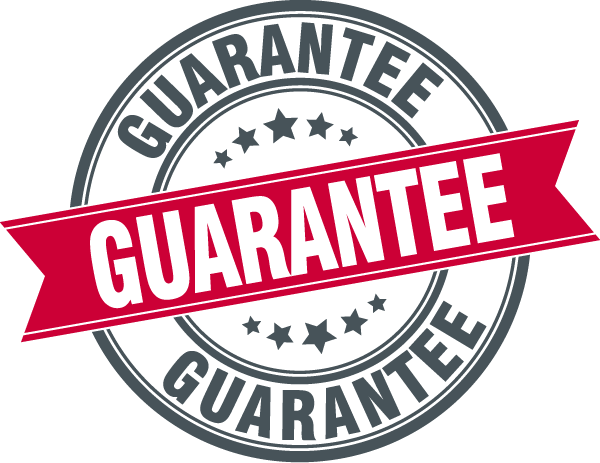 Whole House Surge Protection can be thought of much like a bouncer in a night club – allowing in only the electricity that your home truly needs and blocking any trouble that over-voltages can cause your devices from surges occurring inside your house. SPDs (Surge Protective Devices) are usually wired to the electrical service box and are located in an area that protects all of the electrical systems and appliances in your home. A single power surge happens in a matter of milliseconds — one thousandth of the time it takes for you to blink your eyes once. Perhaps you’ll notice the lights flicker or have an issue occur like your TV or computer locking up for no obvious reason. Perhaps you won’t notice anything. With the recent influx of flooding in various areas throughout the country, the issue of electrical safety during a flood is at the forefront of everyone’s mind. Should electrical equipment come into contact with flood water, the very serious danger of electrocution occurs. After a flooding event and in the clean-up phase when the waters from a flood have dispersed, there are still more risks because there is a serious risk of electrocution from appliances damaged by water. Why is solar power not more prevalent? The sun is the natural source of the most abundant, reliable and pollution-free power in the world. However, problems with solar power, namely the expensive cost and inconsistent availability, have prevented it from becoming a more utilized energy source. Undoubtedly, the installation of a home theater system is one of the most exciting things you can add to your home. Home theaters can range from a nice TV with a comfortable seating area to a full-fledged family viewing experience, including a flat screen high-def television, an impressive surround sound system, and more. Whatever scenario you’re shooting for, there are a number of various components to think about that make your home theater system provide you with as much enjoyment as possible. Today, we’re going to discuss the aspect of your home theater’s lighting. There is one type of pollution that many people over look. It has harmful affects on humans, wildlife, energy consumption, and our pocket books. What is it? The answer is light pollution. With a growing population it is blasting out of control and changing the world that we once knew. In some cities you only make out about ten stars in the night sky. 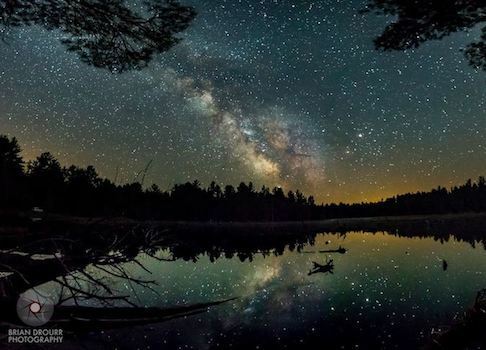 Light pollution is excessive, misdirected, and intrusive lighting at night. It is the light from your neighbor's new street light, and the light that shines from parking lots and abandoned businesses. It isn't just a nuisance for our eyes it affects the life cycles of plants and animals all around us. Some animals get confused on whether it is night or day, which is detrimental on their sleeping, eating, and mating habits. Light pollution also is thought to negatively affect our health and leave us more vulnerable to illness and disease. 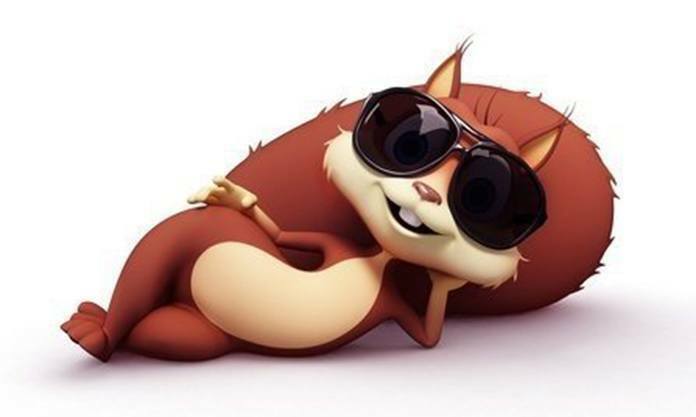 Did you know that a squirrel can jump as far as 10 feet from the branch of a tree to the top of your home? How Much Electricity are we Actually Using? How much electricity is your household using? More often than not, you skim over your electric bill each month and if the price doesn’t seem out of the ordinary, you move on. This is what most of us do. It's just more convenient and has become the norm. But have you ever thought about what electrical usage and energy bills are like in other states and countries compared to the electricity used in your area? Which Hot Water Heater is Best for your Family? Recently, the U.S Government released new regulations governing water heaters. This change includes the size of the units, installation costs, and could even mean remodeling if you don't have the space for the larger units. If you've been planning to replace your water, you may be questioning if it's worth it after all. The short answer to that is that it depends on your unit, but that the new benefits in efficiency with new technology just can't be beat. It's worth taking a longer look at the different types on the market and deciding which is right for your home. There are more services than most people realize in which an electrician can be of help. Things like basic repairs can be done easily and conveniently. Whenever you think that electrical troubleshooting should be done in your home, give John's Electric a call. First and foremost, electrical safety is something that all electricians should practice. There are several ways in which electricians practice electrical safety. One of them is having the proper tools and related equipment. This helps to get a job done quicker and also prevents unforeseen complications. When you first hear thunder, it's time to take precautionary measures indoors. If you're inside and you see lightning or hear thunder, it's time to take precautions. 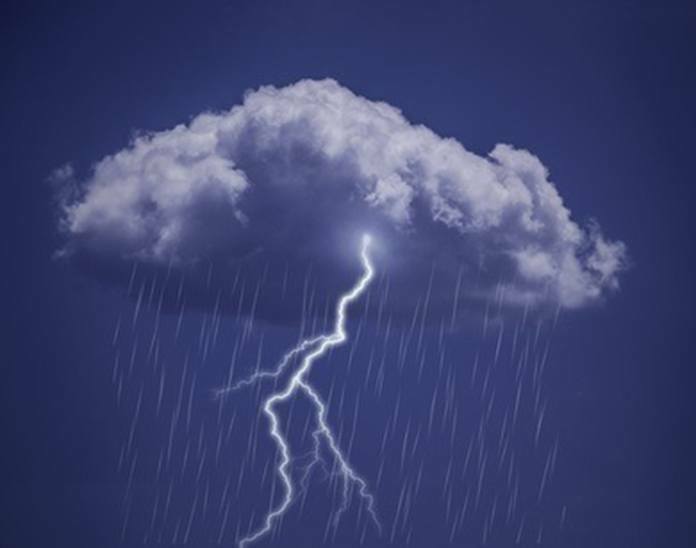 Continue your indoor safety precautions for 30 minutes after you see the last lightning or hear the last sound of thunder. Understanding electrical wiring and the type that is present in your home is key to protecting your safety and the safety of the wiring in your home. The presence of fuses indicates that your electrical service was installed over 30 years ago. This wiring was installed to meet the electrical needs at that time. With the added power demands in today’s world, such as appliances, and office and audio visual equipment, this older wiring may not be adequate. A certified electrician or licensed electrical contractor should be hired to inspect the electrical system. 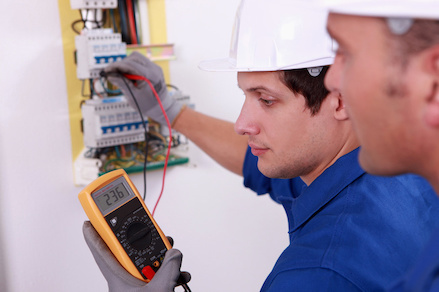 This inspection will identify the electrical demands needed and any corrections that are necessary. This should be completed, at a minimum, once every three years. Light Bulbs! What's the difference? For a lot of consumers, navigating the ever changing light bulb isle is becoming as difficult as identifying a car part. From the various options available (LED, CFL, halogen, lumens, Kelvin, CRI), not to mention all of the various brands (GE, Philips, Cree, EcoSmart — each with its own packaging lingo) it might feel like one needs an engineering degree in order to pick out a light bulb! Thomas Edison had a really good run; for 134 years we lived under the golden glow of his incandescent bulb. The problem is that his bulbs are not energy-efficient, hence the birth of new technologies with new names. One of the best lighting options available today is the dimmer switch. Dimmer switches control the current sent to a light fixture, allowing you to increase or decrease the amount of light in a room. The switch is usually a slow sliding lever or turn dial, which allows you to manually adjust the light. There are many reasons why dimmers are so popular among new home builders and remodelers. Here are some of the benefits of having dimmer switches installed in your home. Not only are dimmer switches environmentally friendly, but they can also greatly contribute to the ambiance of your home. In terms of being eco-friendly, since the light doesn’t always have to be on full power, dimmer switches can help you save electricity. When dimmed, light fixtures use less energy. And if you only need a little bit of light but still want to take advantage of the natural light available, turning your lights to the lowest setting will help save energy while giving you the extra light you need. Like most people, you probably haven’t stopped and really thought about exactly how many devices you have in your home that are plugged into a power outlet. So do it now. Go ahead. I’ll wait…. Now, think about how many of your devices have some sort of electronic or digital component inside them. It’s probably more than you realize. The obvious ones are TVs, video game consoles, Blu-ray and DVD players, audio and home theater equipment, satellite receivers, alarm systems, and computer equipment (including routers, modems, and printers). 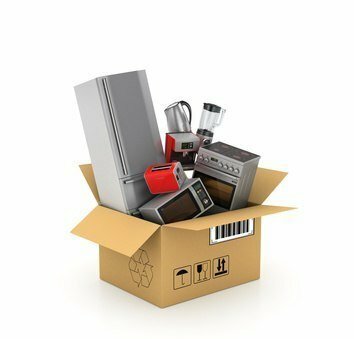 But there are plenty of additional devices in your home that you may not realize have at least one electronic control board inside — such as your air conditioner, washer and dryer, garage door openers, security cameras, and nearly everything in your kitchen from the oven, to the stove, to the fridge, to the microwave, and maybe even your toaster! Help! Iâ€™ve Got Aluminum Wiring in My House! My home is 35 years old and was built in the 70's. Aluminum wire was used during that period because I think there was an issue with the copper wire during that period. I have experienced outlets becoming hot and I can feel this by touching the outlet. I can also smell the "bake light" burning smell. My remedy is to replace the bad outlet with the outlet designed for the aluminum wire. Years ago they also recommended to pigtail copper wire to the aluminum wire and then install the copper wire to the outlet. Can you provide suggestions? I am wondering if I should replace all my outlets with the outlets designed for aluminum wire or use the pigtail method? Everyone loves a good Do It Yourself project, and why not? It's fun, practical, saves money and provides a huge boost in confidence. There are tons of how to books, websites and videos out there for every possible scenario. While some DIY activities are a no brainer, some need to be left in more experienced hands for your safety and the safety of your family. If electrical work is in your way of renovations or your are thinking there is no harm in tweaking a few wires, think again. There are many factors in home electrical repairs that can go haywire, so to speak. These could end up costing more money with risk to fire, injury or death. 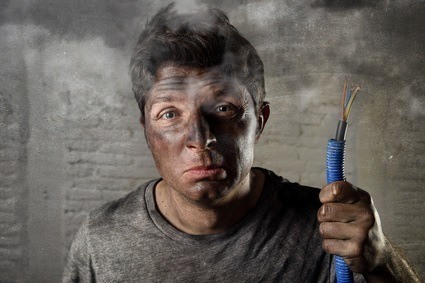 So before you begin your weekend warrior mission here are some projects where you should put away the tools and call an experienced and highly trained electrician. Spring Cleaning Time...for your home's electric system? Spring Cleaning! Time to dust, vacuum, throw out some old stuff, organize the shelves….but is it possible to Spring Clean your home’s power? As we approach the hot summer days and begin to fire up the air conditioner, there’s no better time then now to do some Electric Spring Cleaning! There was a time that outlet covers were just boring pieces of plastic that hid the metal housing and wiring of your outlets. Sometimes you could even find some ornate wooden covers or maybe even one with your favorite sports team’s logo emblazoned on it. But one thing electrical outlet covers have never been known for was providing any sort of useful function other than decoration. With advancements in electrical technology, all that is changing! A simple thing like an outlet cover now has a purpose…an automatic, forever there, light! With the ever changing modernization of life, we have more and more electronics at home, which means more and more Electrical Outlets, Sockets and Switches to keep them running. The latest options in power outlets go far beyond just a place to plug in a toaster. Here are some new innovative and cool Electrical Outlet designs, which could help you keep the mess of wires in check and get a whole lot more from your electrical outlets. Hiring someone to electrical work on your home can be daunting task. How do you know the person that you find is going to be trustworthy, or knowledgeable? There are review services and BBB ratings, sure, but can you always trust them? 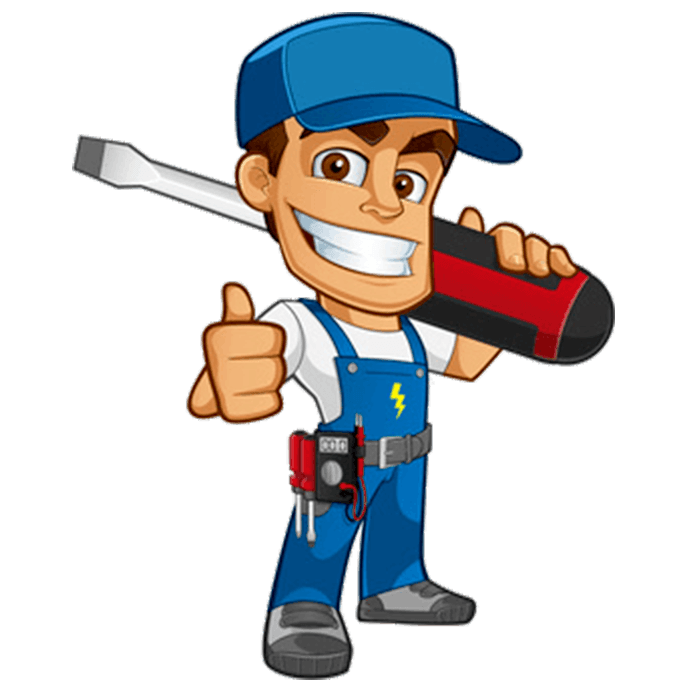 Here we have compiled some tips for spotting a bad electrician. There are major red flags, and knowing these can help prevent you from having a negative experience! You have a lurking danger in your home, something you may not even think about. Almost everything in your home runs off of electricity, from your cell phone charger to your refrigerator. Without these items, how would you live your everyday life? Electricity is a blessing in the modern day home, however, it's also a large hazard if you're home isn't properly protected! Some of the most common hazards are also some of the most easily prevented! These are just a few of the most common electrical hazards that we hear of on a daily basis…but there are more. Is your home safe? Call John’s Electric today for a complete whole home electrical safety inspection. Smoke and Carbon Monoxide Detectors: What you need to know! With the recent time change, it’s never been a better time to check out your smoke and carbon monoxide detectors! You can never anticipate a fire or a carbon monoxide threat, so having these two very important detectors in working order is always a top priority. You probably know that these detectors have to have battery changes every so often, but did you know that they also have an expiration date? In fact, if you haven't changed out your detectors since you moved into your home, chances are they’re outdated and need to be replaced.There’s also a good possibility that your smoke alarms may not even work! Every smoke alarm has a test button to be sure it is working, and testing your alarms once a month will help you be sure that yours pass the test. It takes just a few seconds, and could possibly save your life. This should become a routine item on your home maintenance checklist. 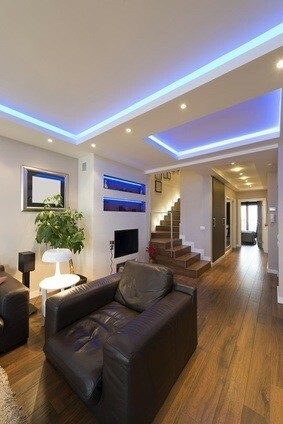 LED Lightingâ€¦Lighting Your Way To The Future. LED lighting. "What exactly is it?" you may ask. Well, the technical definition of LED (light-emitting diode) is a two-lead, semiconductor light source, which emits light through an effect called electroluminescence. Does that sound like a mouthful? Let's take a closer look at how LEDs work, and some questions you may have about converting. No matter the age of your home or how many precautions you've taken to plan for your family's safety, electrical incidents can take you by surprise and nearly always come without warning. Your electricity runs like an invisible force, behind the scenes, inside the walls of your home, allowing you a great variety of modern creature comforts. However, according to the National Fire Protection Association (NFPA), electrical problems are the largest cause of property damage and devastation in home structure fires across the United States. Think of your fuse box as the heart of your home’s wiring system. A distribution board that distributes electricity to all of the circuits in the house. You cannot tell from looking at the outside of a Fuse Box if it is in a satisfactory condition on the inside but you can see if it is old. A professional electrician can tell by removing the cover and making a visual inspection then performing various tests on the installation, and evaluating its condition to advise you whether or not it needs to be replaced. Wondering what your Meter Socket is? A meter socket is a type of outdoor electrical socket that connects a watt-hour meter, or electrical meter, to a house. These are the meters outside of your home or commercial building that measure the amount of power used so the our utility company, Alabama Power, knows how much to bill. Is it time to Upgrade your Outdated Electrical Panel? Again, while this type of breaker may have worked up to a point, I would consider it a “ticking time bomb” of sorts and recommend an upgrade for your family’s safety. Ground Fault Circuit Interrupter (GFCI) devices, are required in specific areas of our homes. We must all have GFCI protection in our kitchens, bathrooms, unfinished basements, outside our homes as well as our garages. GFCI devices monitor the electricity between the ungrounded (hot) and grounded (neutral) conductors. If there is an improper imbalance between the two conductors the GFCI will stop the power from exiting the receptacle, which prevents people from receiving an electrical shock. GFCI protection comes in several different forms. The most noticeable would be in the form of a receptacle. 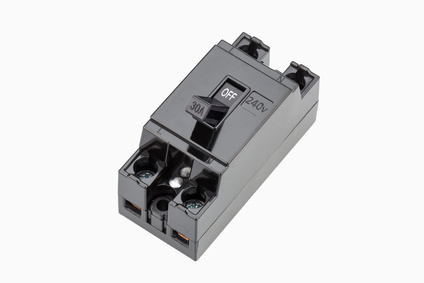 The second form of GFCI protection that is common in homes is GFCI breakers. Both of these devices protect people from receiving an electrical shock. 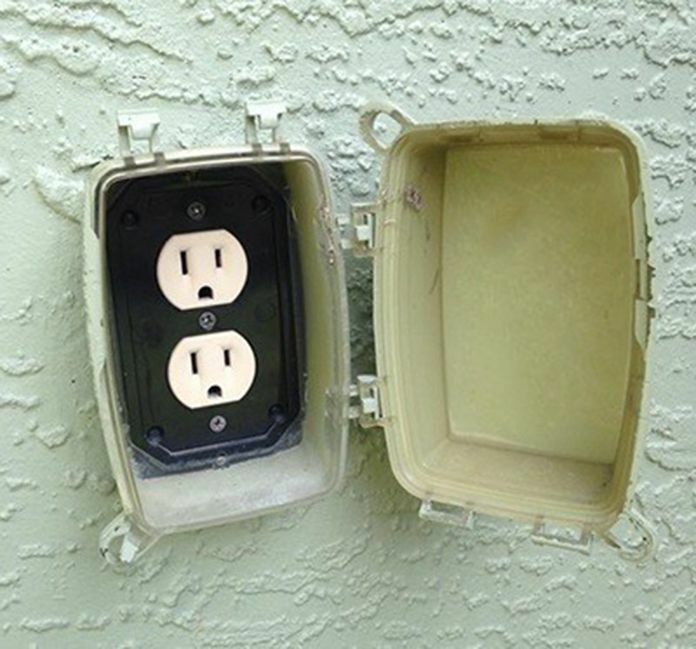 The receptacle is located in the outlet where we plug devices in. The breaker is located in the electrical panel.